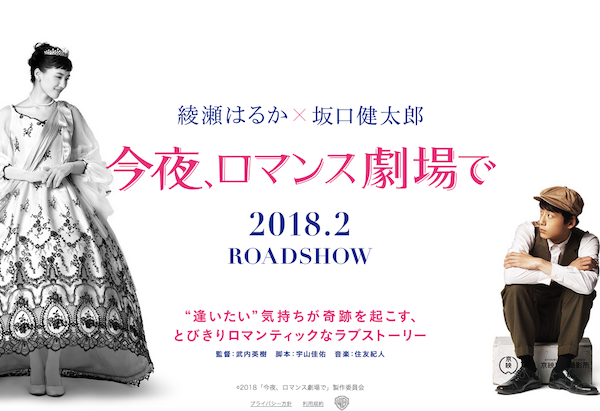 Haruka Ayase and Kentaro Sakaguchi join forces in ‘Konya, Romance Gekijou De’, a bittersweet romance film that is hitting theaters on February 10th, 2018. 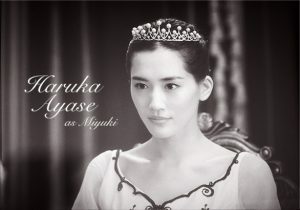 The premise of the film is certainly exciting: in the 1960s, a young aspiring director (Sakaguchi) meets his great love, princess Miyuki (Ayase) – who happens to be a film character from a black-and-white film. Helming the film is Hideki Takeuchi, most famous for directing the ‘Nodame Cantabile’ dorama adaptation and the sequel films. Supporting Ayase and Sakaguchi in the film are Tsubasa Honda, Kazuki Kitamura, Anna Ishibashi, Go Kato and Akiyoshi Nakao. 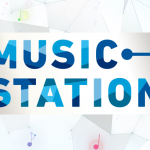 The theme song is provided by an Australian singer Che’Nelle. 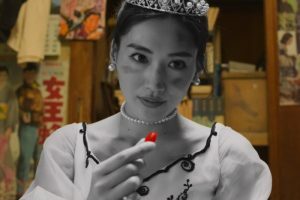 Click below to browse through promotional photos and watch the trailer and a short drama music video for the theme song, titled ‘Kiseki’.